All of us want to have a home of our own but only a few can actually own a property in our own name. Due to the constantly increasing prices of real estate, it has become extremely difficult to buy a house. This is the reason why many people have chosen to rent homes instead of buying them. 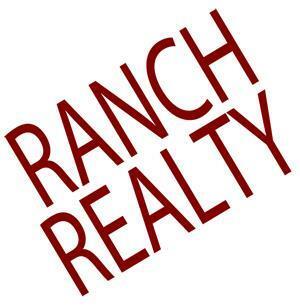 We, at Ranch Realty, can help you find one of the most suitable homes for rent. We are a family owned full-service Real Estate & Property Management Company, known for working with real estate owners and investors along with owners of furnished rental houses for vacation. We have more than 40 years of experience and all our property managers are licensed real estate agents in Arizona. We specialize in digital and print marketing, credit and background checking, elaborate move-in and move-out inspections, along with the repair and maintenance of the property. So, if you belong to areas like 85258, 85260, Gainey Ranch, McCormick Ranch, Phoenix, or Scottsdale, you can rely on us for good rental homes. Here, we have put together a few of the most important factors that must be determined before you choose a home for rent. Take a look. Whether you are a family person and looking for a house to stay with your family or are a bachelor and need a small space to yourself, you must choose the size of the house according to the space you want. Remember that the price of the house will vary depending on the space it has. Some people are artistic and need a good view from their window when they wake up every morning. So, check your surroundings and location of the house to understand the view you will be getting. You should consider the budget because although you don’t have to pay a price as high as buying the house, you need to know that there are security deposits to be paid to your landlord as well as fees of the real estate agents. So, without any delay, come to us for the right homes for rent.